Dr. Greg Rose joined John Kim of U.S. Kids Golf on the Game Changers podcast this week. You can listen to the podcast in the player above or download it on iTunes here. U.S. Kids Golf is an organization dedicated to helping kids have fun learning the game of golf and creating meaningful family memories in the process. They do so by educating parents, coaches and junior golfers on everything from equipment to etiquette to course management. 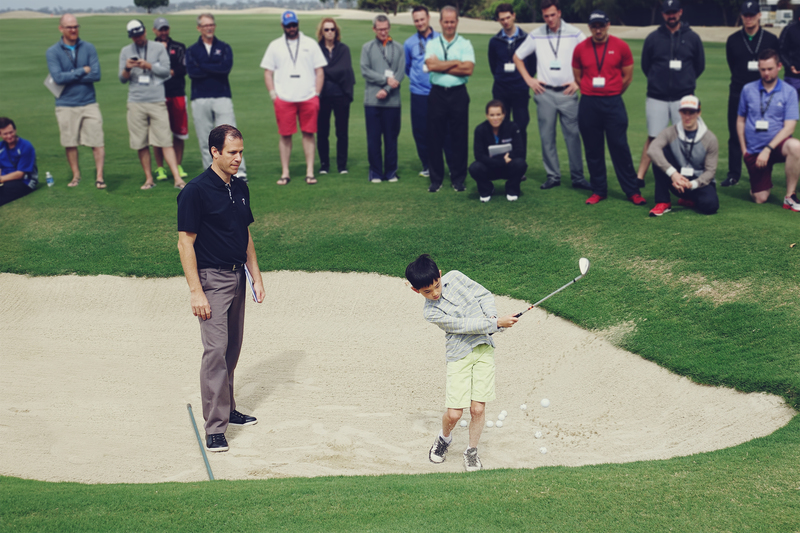 Much of the conversation between John and Greg centered around keys to developing young golfers physically, specifically what parents can do to better prepare to their kids to reach their full potential. Here are a few of the highlights. Regardless of age or skill level, you're crazy not to consider your physical capabilities if you're trying to improve your game. You can have an equipment problem. You could have a technical problem. You can’t physically do what you’re trying to accomplish. "By doing a quick physical screen, you can identify quickly if your body is affecting the golf swing... Almost everyone can find something that is affecting their golf swing." "People think that changing their body will require them to be in the gym for three hours per day. We can the show average 55 year old player something that they could do for five minutes a day that could make a massive change in their golf swing." "The most important thing you can do is get screened. Once we know what is affecting you, we can either build a fitness program or develop a plan to work around the problem... I think you’re crazy to not at least check if [your body] is a problem." "To say that it’s important for parents to know what to do [with regards to developing junior golfers] is an understatement. You only have one chance to do it right." "If you want your child to enjoy the game and play at the highest level, there are a few critical things that you must develop. It doesn’t take a brain surgeon to realize how important power is to the game of golf… Power is one of the top three reasons why you end up on the money list." "The average ball speed on the PGA TOUR is 169 - 171 mph. A record 85 players are over 170 mph ball speed. Speeds on the NCAA are higher than the PGA TOUR. Speed is coming." "If you’re going to create power, it’s pretty obvious that the better the athlete, the more power they develop." "The best time to develop an athlete is when they're young. It's really important that this is crystal clear in every parent's head. When I want to turn my son or daughter into a junior golfer, it's important to remember I'm not turning them into a golfer. I'm turning them into an athlete first and a golfer second." "It's really difficult to swing a club properly if it doesn't fit." "One of the key things we track is growth velocity... Those growth spurts are really important for development." "The balance of results vs develoment is the biggest issue with junior golf. If we focus our energy on winning junior tournaments, you might take away from things you should do for athletic development." "I'm a big fan of competition. I think it's crazy to not have competition. You need to learn to be a good winner and a good loser. The goal is not just to win the tournament, the goal is to learn to love competition." 2) super competitive-always willing to play anyone for anything. 3)cocky and confident-not a bad thing!! "Most players are not practicing properly. People like to do what they're good at, they don't like to do what they're bad at. Make sure what you're practicing is what your problem is." "Most people just assume that if they hit balls they'll get better. If you're not doing something to address your body, you're probably not going to get better." "People fatiguing on the back nine probably don't have a cardio problem, they have a nutrition problem or an issue with muscle fatigue." For more on the importance of evaluating movement and fitness in young athletes, check out the video below. Show notes here.